Here is how to bookmark in Chrome Android. 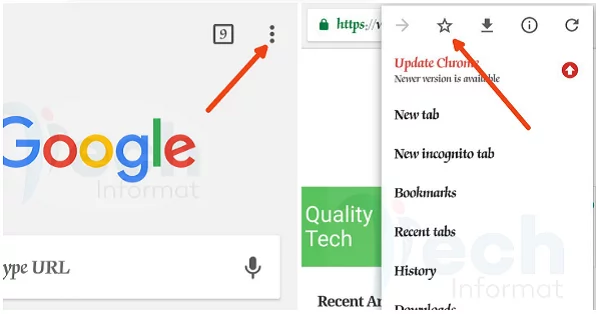 Bookmarking a webpage/on Chrome Android could be a bit tricky, compare to that bookmarking in Chrome desktop which Ctrl+B will help you bookmark any webpage easily. You may know how to bookmark in Chrome desktop but in Chrome Android so learn how to do it yourself today. It’s pretty simple to get it done. But until you read through this page, you will not know how to bookmark in Chrome Android. 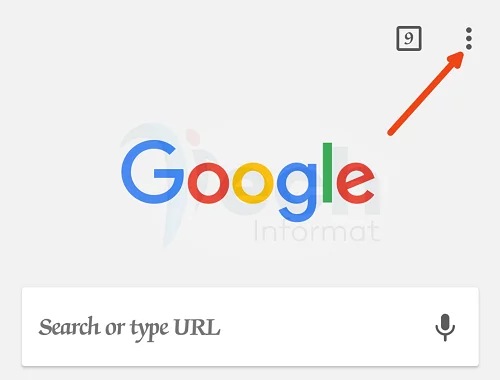 With just a few taps of buttons, you will able to bookmark any webpage of your choice on your Chrome Android browser. A bookmark helps you save webpage or URL for a later visit. So let’s get into the real deal since this one is going to be very brief. 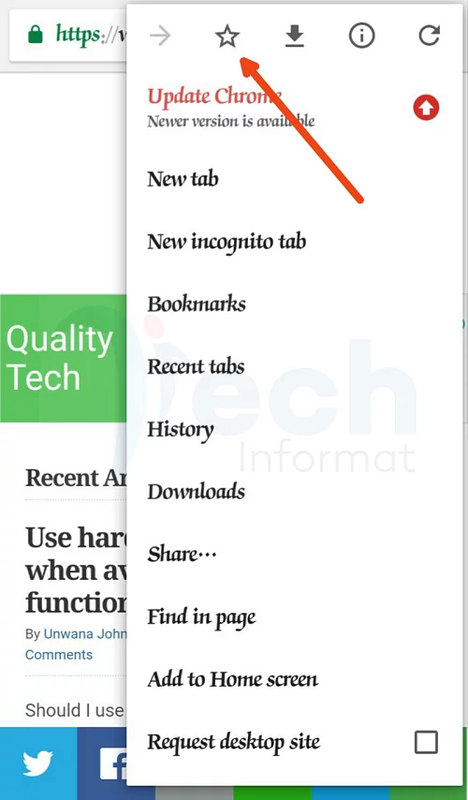 Let’s say I want to bookmark Techinformat.com on my Chrome Android browser for example. Now you have your favorite website bookmarked. 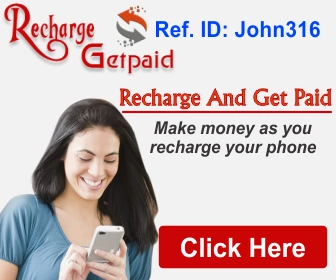 I know you may now feel stupid that you did not see it all these while, but not to worry, that is why Techinformat is here to serve you.